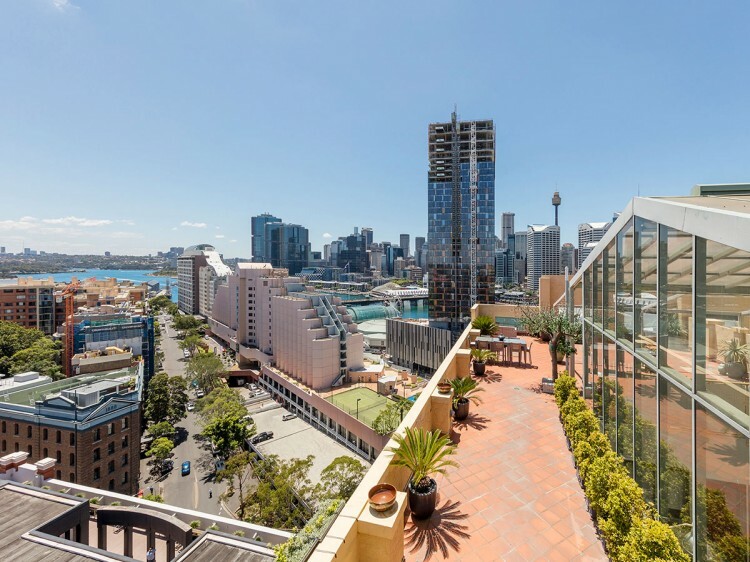 Oaks Goldsbrough Apartments at Darling Harbour, offers a charm reminiscent of Sydney’s colourful past. Originally built in 1883, the Goldsbrough maintains and incorporates unique historical features creating a romantic ambience. 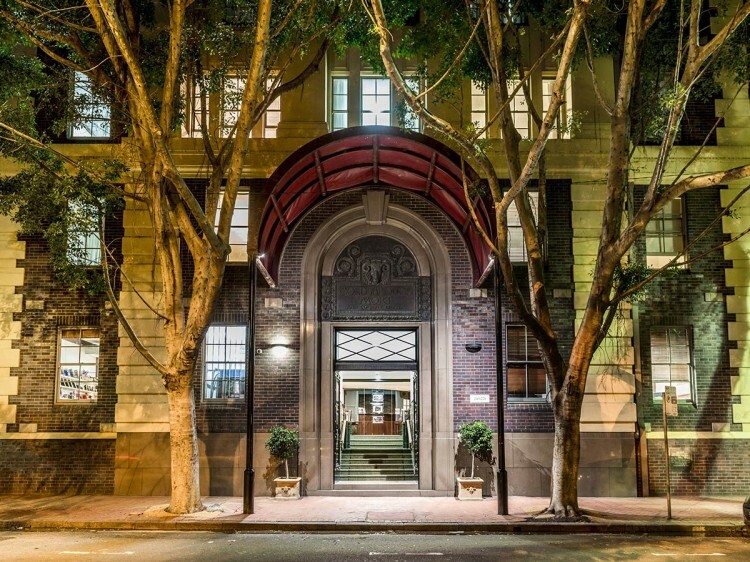 The magnificent neo-classical facade, the original tallowwood floors and exposed ironbark columns which feature throughout the hotel, complement the modern luxury apartments inside. 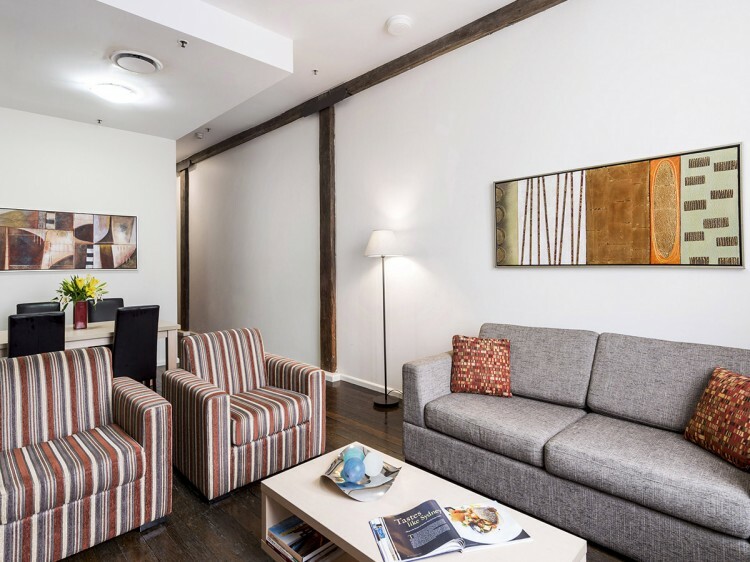 For travellers in search of central apartment accommodation in one of Sydney’s most sought-after locations, Oaks Goldsbrough Apartments is the perfect choice. With comfortable, self-contained living and stunning views over the iconic Harbour, Oaks Goldsbrough combines the cutting edge facilities and impeccable service of a luxury hotel with the privacy and spaciousness of self-contained apartments. Guests can enjoy the pool area, sauna, spa and gym, and there are secretarial services including photocopying and facsimile, a coffee shop and grocery store, covered walkway to the Convention & Exhibition Centre and lightrail station at door. Terakaza Cafe - open for light breakfast options daily at 7:00am on weekdays and 7:30am on weekends.